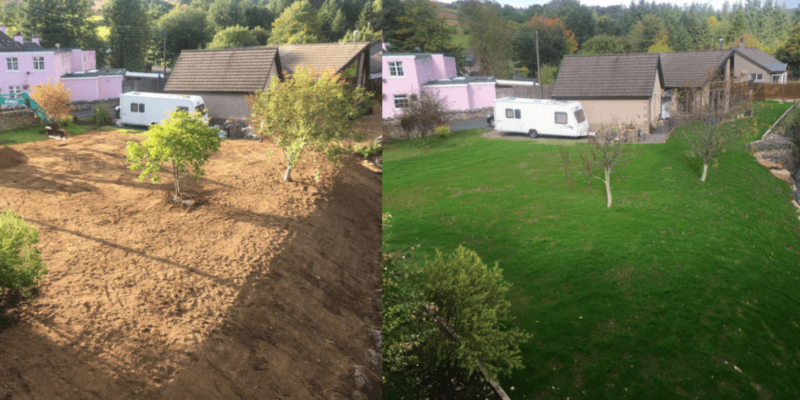 Check out these latest lawn transformations from our customers! 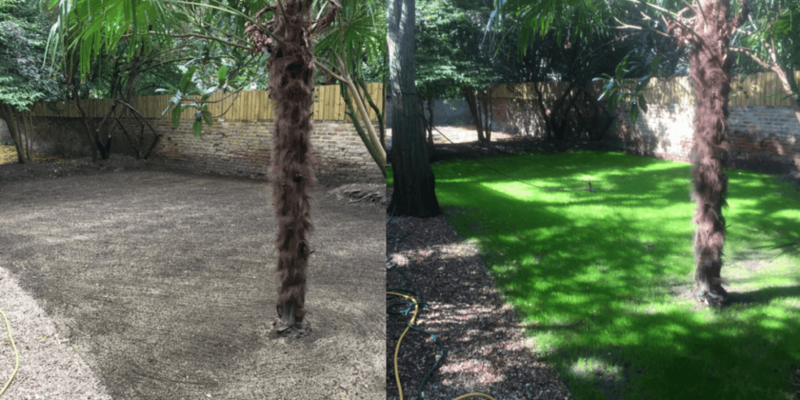 Our customer Rajeev sent us through her 'before and after' snaps of her garden in south England. The project was sowed in late August and well established by late September as can be seen in her photographs. 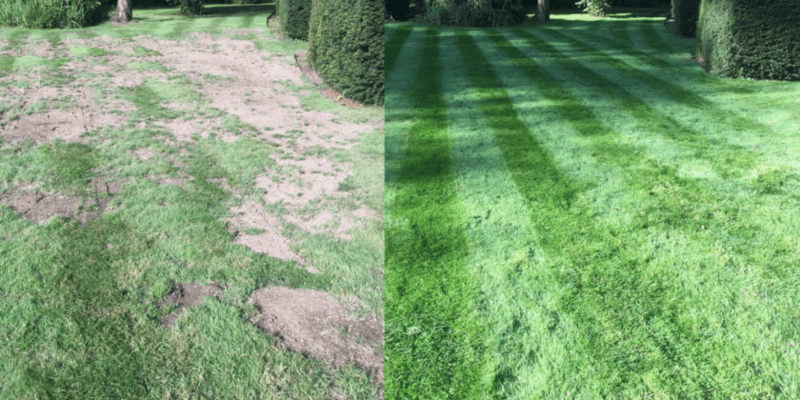 For her lawn seed, Rajeev used STEADFAST: Shade to combat the dappled areas under the trees and PERFORM: Tees to achieve a hardwearing lawn which can be mowed frequently. As you can see the driver of this lawn mower certainly is a dab hand. Stephen carried out this large project during September. His plan was to revamp a neglected area beside the river bank. Firstly he called in the digger to remove debris from the surface of the bank and level off the area. 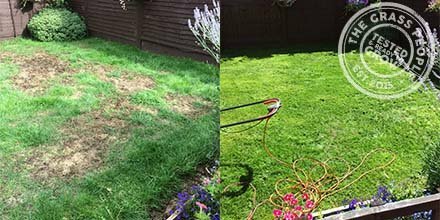 Stephen then used our grass seed mixture SUPERSTAR: Back Lawn and sowed into the soil. SUPERSTAR: Back Lawn suited this type of surface as it recovers well from heavy footfall. He sowed firstly on the edge of the river bank during the second week of September followed by the remaining areas towards the end of the month. This photo taken mid-way through establishment in early October just shows how grass transformed the area. Not only did we love James’ new lawn but we also loved his garden, what a haven! As we can see the garden has sections of dappled sunlight due to the overhanging trees. Therefore James wisely opted to sow the STEADFAST: Shade mixture along with the SUPERSTAR: Back Lawn to create a full and luscious lawn which would flourish even with the lack of sunlight. This seed was sowed in mid-August and photos of grass establishment taken one week after sowing, what a difference it has made. Discover our 2018 range of grass seed here.